1. This 1970s inspired hairstyle pulls most of your hair off your face, and the bouffant half ‘do adds height. The soft tendrils around the face are flattering on any face shape, but will make a round face appear slimmer. This is a relatively no-worry style, as long as it's secured enough hairspray you’re good to go. This makes a particularly good prom hairstyle because your ears are exposed, meaning you can choose special or coordinating earrings. 2. This is another variation of the half ‘do, but with more curls and a swooping low side part, as opposed to high bouffant. 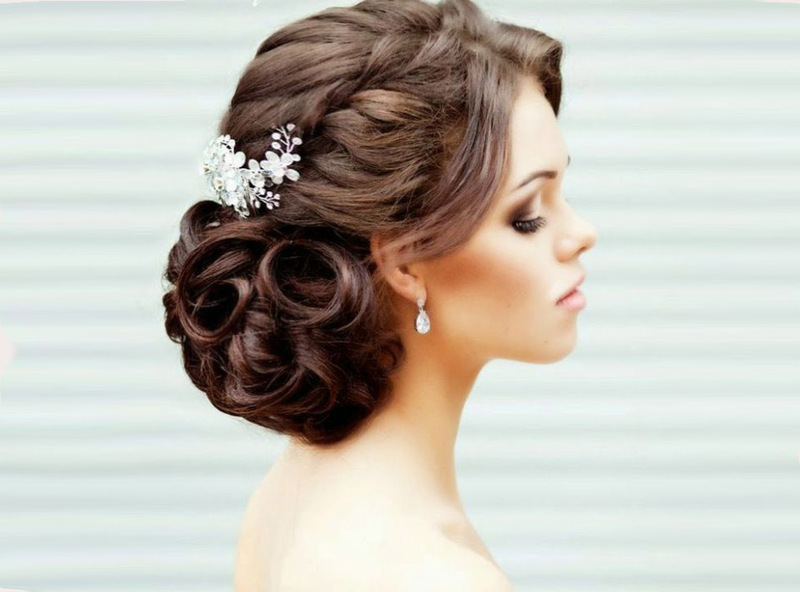 This is a soft and elegant style that brings in a bit of hollywood glam; the perfect choice if you have a pretty hair accessory that you plan on incorporating into your style. 3. Who says a ponytail has to be casual? This gorgeous long curled pony is pretty and sophisticated. You could leave it simple or add interest with a braid along the front, or pulled round to the side for a 'Taylor Swift' kind of look. A great option if you plan on doing you hair yourself as it's easy to do but still looks really put together. 4. 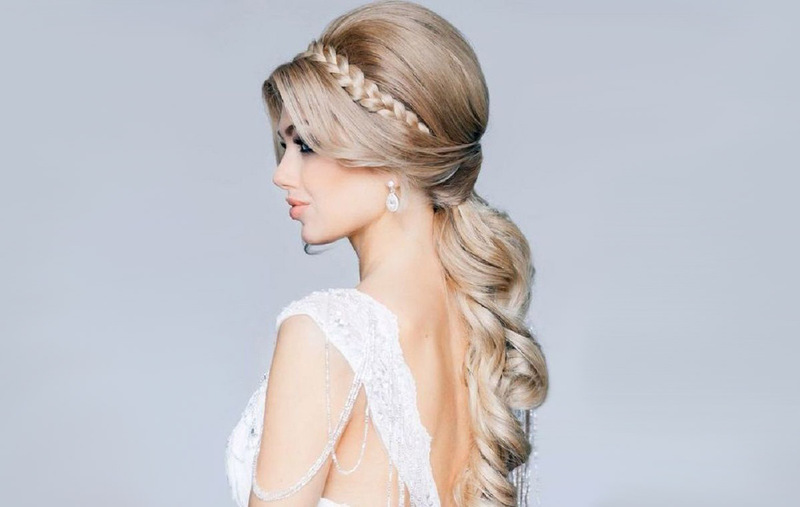 This is a good choice for longer hair, or if you want to show off the back of your dress. 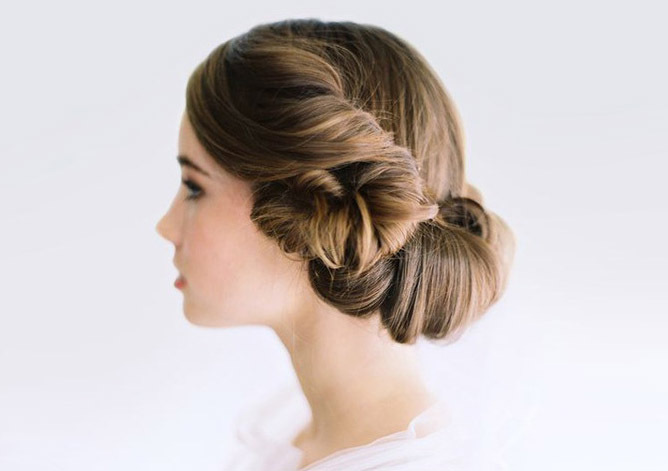 This style is a variation on the infamous Princess Leia hairstyle. Part hair down the middle, and braid each side, starting at the base of your hairline, and then wind the braid into a swirl on each side. Be sure to use grips that are the same colour as your hair (you'll need lots of them!) so that they can't be seen. 5. Finally, a style to satisfy fans of “Toddlers & Tiaras,” the ultimate in pageant looks for the girl who really wants to be tiara-worthy. Think big, bouncy and/or intricate, this one is probably best left to a professional hairstylist but will definitely make a statement on prom day. Are you going to prom this year? How will you be wearing your hair? I am way past the age to attend prom, but I am attending a wedding later this year (I'm at that stage in life where everybody is getting married, lol), and I'll probably follow style #4 for my hair.